Elearning design is more effective when it’s about creating an experience! Why not develop your interactive activities so they fit an overarching theme or learner challenge. Then use this theme to immerse your the audience in a believable environment, take them on a journey that keeps them engaged the whole way through…. No point spending lots of time designing, developing or even storyboarding only to find out the theme doesn’t suit the business direction or goals. I’ve recently presented a theme it didn’t suit the organisation that I was working with (though I’m keeping it in mind to use elsewhere in the future). Thankfully, I had presented the theme early in the scoping stage before design and development had commenced. This allowed me to ditch it without too much loss of time and energy and I had plenty of time to go back to the drawing board. Of course, it can be sad burying a theme that you’ve melded in your mind and brought to life…. but if your SMEs aren’t into it as much as you are – it’s not going to work! 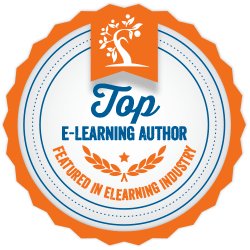 After all they’ll provide the content for your elearning interactions. Having a theme rejected is not necessarily a bad thing though. In fact it can help you find an even better one! A rejected theme means you can ask specific questions about what was wrong with it and what they would prefer. This will help to clarify the business goals and direction. ….and this time it had everyone’s approval and excitement!! 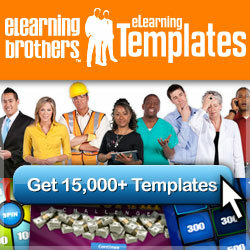 I’d love to hear your thoughts around planning elearning themes? What challenges have you faced? If this post was useful to you, you can follow my blog to receive updates of new posts.